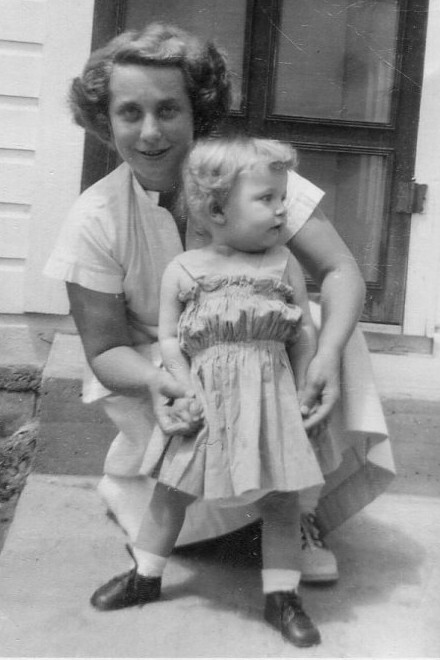 In preparation for our mother’s memorial service, I am scanning photographs. It has been some time since I opened these albums. In fact, I cannot remember the last time I looked. I am trying to decide which images best represent those early years. I find myself looking into everyone’s eyes–all full of love and innocence. But I see something else when I look into my childhood eyes. Usually, I assign an adult mind and motives to the self I was at six or seven years old. It skews memories, maybe even hides some. Mostly, it assigns judgment but as an observer, my perspective is open. In some of these photos, I am 60+ years older than the child I see. In looking into her eyes, there is no rush of memory. There is only the scene in front of me, an individual image. I look with love and find it anew in each scene. Not reliving but observing only what is in the photograph. I spend hours. I feel completely present in these captured moments of my life. I’m not so much aware of thought as I am aware of the child’s eyes, and the look on her face. She is confident. I don’t think she knows any differently. It makes me smile. In myriad ways, I will keep that confidence. I will not always use it wisely, especially when I equate confidence with control. Sometimes, I will claim it when I feel nothing at all. 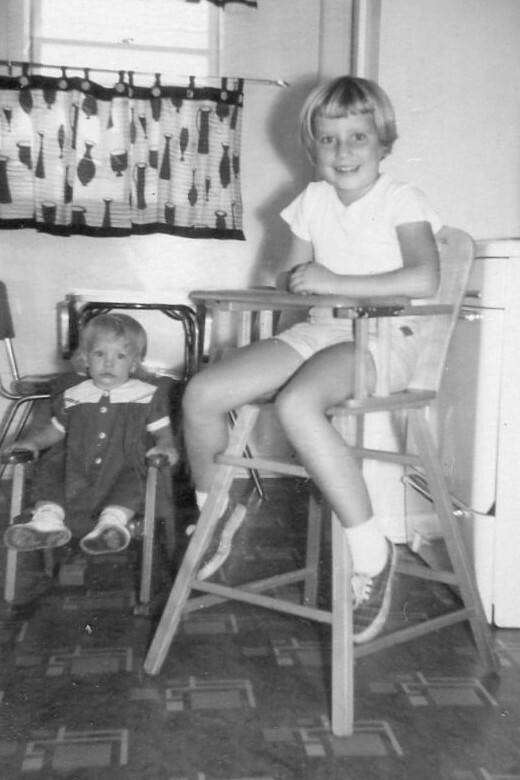 In my 65th year, I am grateful for my six-year-old self. She has brought me to this moment and will take me into what comes next. A beautiful post, as August says! It is always remarkable how such photographs can transport us in mind – offering memory without judgement; and insights, perhaps, not just into the time gone, but into the journey from there to the present. Such poignancy, Matthew, and for me, it is as you say: “from there to the present.” Much, much appreciated. A mistake I have made all too often! I, too, have made it far too often. Thanks, Craig. I love seeing these photos of the younger you. It’s fascinating, isn’t it, to look back, to see what we can see in these old photos. Confidence, hope, trust. It’s also interesting to think about what images best represent a person. Your post reminds me that Matisse said we should look at art through the eyes of a child. Thanks, Cynthia! Looking at these photos is an amazing experience. I agree. These are different eyes, mine, or so it seems. Perhaps, that is yet another gift of aging; regardless, I’m grateful. While I was writing the post, there was this vague sense of a quote about looking through the eyes of a child. Your mention of Matisse makes it more familiar. Thank you. I found more of the quote: The artist must look at everything “as though he were seeing it for the first time: he has to look at life as he did when he was a child.” Henri Matisse from his essay “Looking at Life With the Eyes of a Child” in Jack Flam’s Matisse on Art.